First of all this post is (hopefully) coming to you from the past! *cue creepy music* I’ll be out of town on Sunday and just out and about on Monday, so the theory is that I’m writing on Saturday and this post will come to you from the beyond. If, however, the system breaks down, well, you’ll hear from me soon enough. 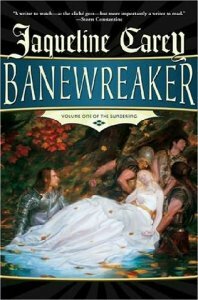 Today’s topic: the Top Ten Fantasy Novels/Series I Should Read But Have Never Finished… Whew, that’s a mouthful. Still, these are the books that perpetually remain on my to-read list. 1. 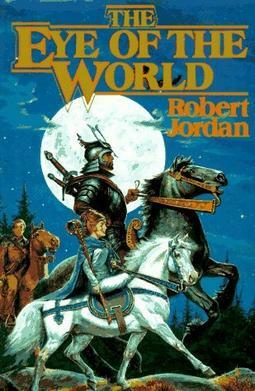 The Wheel of Time series, Robert Jordan. I’m taking another swing at these books right now. I’ve started and not made it more than four books in twice. Typically, I get sick enough of the characters and things like, “she crossed her arms under her breasts,” that I can’t enjoy the story. Still, these books don’t seem to be going anywhere: they’re huge fantasy classics in the making, and I want to like them. Maybe this time (fourth time?) will be the charm. 2. 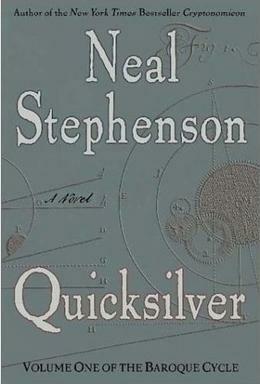 Quicksilver, Neal Stephenson. I’ve started this book three times, and never made it more than 120 pages, which, in a 917-page book, is just a drop in the bucket. I want to read it because Stephenson blends history and fantasy beautifully, which is what I would like to accomplish with Conspiracy. But I have yet to connect with one of the characters, so I inevitably give up on the book. 3. Discworld series, Terry Pratchett. I read Wyrd Sisters and just about died of laughter. But I’ve never felt motivated to read any more, and I only read Wyrd Sisters because someone insisted I should. As it was, I almost gave up on it a couple of times. I like them, want to love them, and just never got into them. 4. 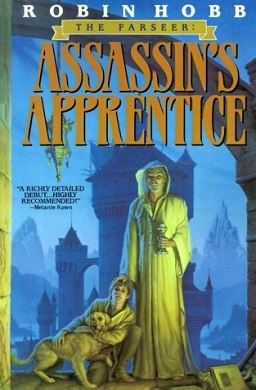 Assassin’s Apprentice, Robin Hobb. I went so far as to buy this one after a friend said I would love it. I read a few pages, said, “Meh,” and never got any further. I don’t even know where it is now. My copy may have been a victim of The Great Kindle Revolution, in which we purged ourselves of unbeloved paperbacks. 5. 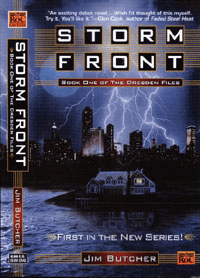 The Dresden Files, Jim Butcher. Yes, this one may shock you, given how much I’ve been writing about Jim Butcher.. I’ve only read the first three. I don’t have the rest of the world’s unholy love of Harry Dresden. I think he thinks he’s funnier than he is, and he has yet to win me over. 6. 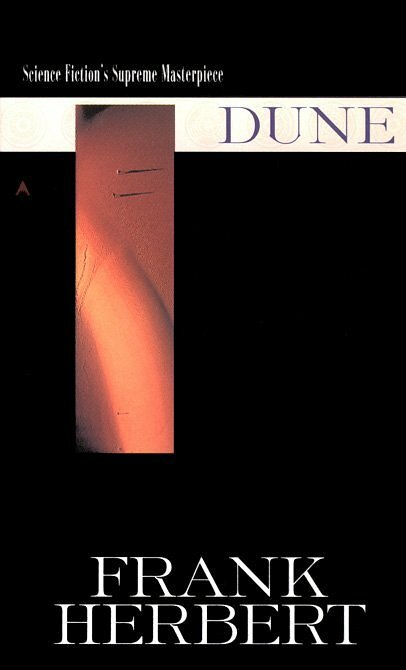 Dune, Frank Herbert. Not really a fantasy, I know. And I’ve actually read it… but I don’t remember a dang thing about it. I’m told it’s as much a fantasy as a sci-fi in the story it tells, but it clearly didn’t do much for me. It’s such a seminal work of sci-fi that I feel should at least have a working knowledge of it, but it remains lost to the winds of time and whatever else I was reading when I was 17. 7. Acacia, David Anthony Durham. I put this one on my wishlist a couple of Christmases ago, received it, read 100 pages (part one), and just didn’t care enough to keep going. Noticing a theme here? I need a hook that makes me care about a character to keep me going. Oddly, I remember Acacia really well, which is odd for a book I’ve dismissed, so the concept and the writing have something going for them. I’ll give this one another try eventually. 8. 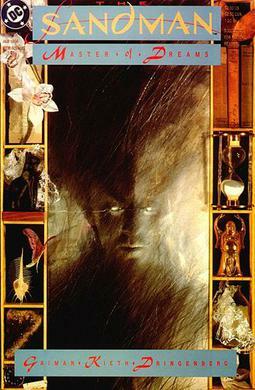 The Sandman series, Neil Gaiman. I love Neil Gaiman. I adored American Gods. I read one Sandman book, one with lovely illustrations, but it took me awhile. I have some mental block about graphic novels that I need to get over. 9. The Sundering, Jacqueline Carey. Carey’s Kushiel trilogy changed my life. Well, that might be an overstatement, but I adore those books, especially Kushiel’s Dart. Carey’s prose is so lush and the idea behind The Sundering books is so fascinating (Lord of the Rings from Sauron’s point of view? That’s awesome!) that I want to love these books. Again, haha, I started and never finished. These I will, will read someday. 10. The Belgariad, David Eddings. Okay, truth time, this series hasn’t really been on my list. But my fiance loves them, and lots of people I respect like them. I’ve never even picked one of them up. Maybe I should check them out. What’s on your reading bucket list? Can you convince me to read any of these books? I never read fantasy but thanks for these recommendations. I’ll have to add a few to my to-reads. The Belgariad and Malloreon are my two favorite fantasy series of all time, I think. I would suggest skipping the prologue of Pawn of Prophecy though, at least until you are fully immersed in the book. It’s style is pretty dry, though more interesting the further in you read. It’s on the list for someday. I’m actually digging The Great Hunt at the moment, though, so maybe I’ll conquer Mount Jordan this time. I will say that if you’ve read Part One of the first book you’ve done most of the hard work. Part Two jumps forward quite a bit, with the kids now older and actually trying to play a part in the world. And then… things happen. And I’m quite pleased to say that I’ve finished the trilogy. It’s done. It won’t go on forever or remain unfinished! I’m quite curious which ones you haven’t finished.